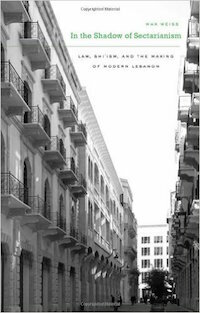 Contrary to the conventional wisdom that sectarianism is intrinsically linked to violence, bloodshed, or social disharmony, Max Weiss uncovers the complex roots of Shi`i sectarianism in twentieth-century Lebanon. The template for conflicted relations between the Lebanese state and Shi`i society arose under French Mandate rule through a process of gradual transformation, long before the political mobilization of the Shi`i community under the charismatic Imam Musa al-Sadr and his Movement of the Deprived, and decades before the radicalization linked to Hizballah. Throughout the period, the Shi`i community was buffeted by crosscutting political, religious, and ideological currents: transnational affiliations versus local concerns; the competing pull of Arab nationalism and Lebanese nationalism; loyalty to Jabal `Amil, the cultural heartland of Shi`i Lebanon; and the modernization of religious and juridical traditions. Uncoupling the beginnings of modern Shi`i collective identity from the rise of political Shi`ism, Weiss transforms our understanding of the nature of sectarianism and shows why in Lebanon it has been both so productive and so destructive at the same time.